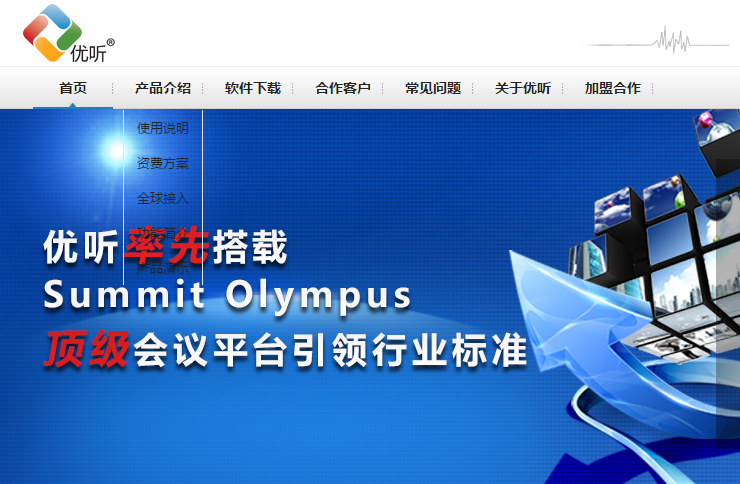 Compunetix is honored to partner with UMeeting (优听), a prestigious collaboration service provider (CSP), to bring the Summit Olympus platform to the Chinese market. UMeeting possesses the skills required to fully leverage this unprecedented platform for electronic collaboration through demonstrated expertise in the unified collaboration segment. The market-leading CSP chose to pioneer the use of this platform due to the Olympus’ support of high definition (HD) voice codecs, its nearly limitless scalability matched with voice encryption capabilities, and the ability to offer quality benchmarks above and beyond industry standards. Following the successful integration of the Olympus, UMeeting was able to optimize many features along with further improving the stability of the platform. The offering’s strengths of anytime, anywhere, simple, and easy-to-use collaboration has further enhanced product awareness as well as brand recognition among customers. UMeeting only requires a phone, computer, or mobile device to quickly and easily enter a call with more than 1000 participants. Practical call features such as noise reduction, automatic call recovery, conference recording, personalized greeting features, and conference lock are innovative in the market and show a customized, groundbreaking development of the teleconferencing product. UMeeting also differentiates itself in the market with its flexible, alternative billing package setup – there is no requirement for investment in any software or hardware, no long distance roaming charges, all billing is tied to one account number, and there are no additional charges for other participants. Pricing is clear and concise, and there are a variety of customized subscription packages. Invoices are detailed and are available in real time; there are no additional charges or hidden costs. For all the details, read the press release here.